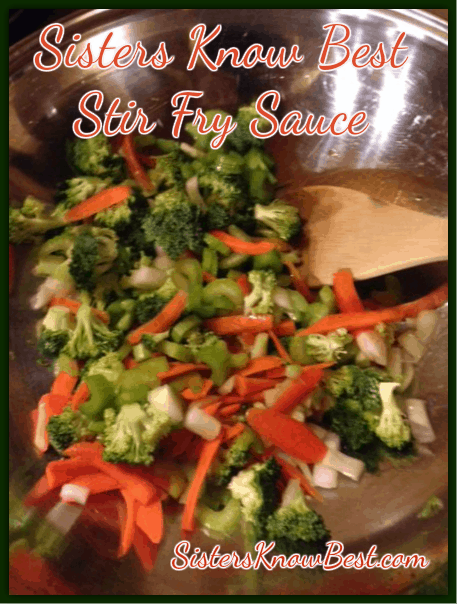 Stir-frying is a great way to get some extra veggies in your meals. It’s also a great way to use up left-overs in the fridge! This sauce is fantastic and adaptable for heat and sweetness. Whip up a batch and enjoy! Thai food is one of my favorite discoveries! But when we order take out it’s easily $70! This meal was $10 and we ate it twice. PLUS it’s part of the Sisters Know Best Freezer Meal Series so I have another in my freezer for another time. 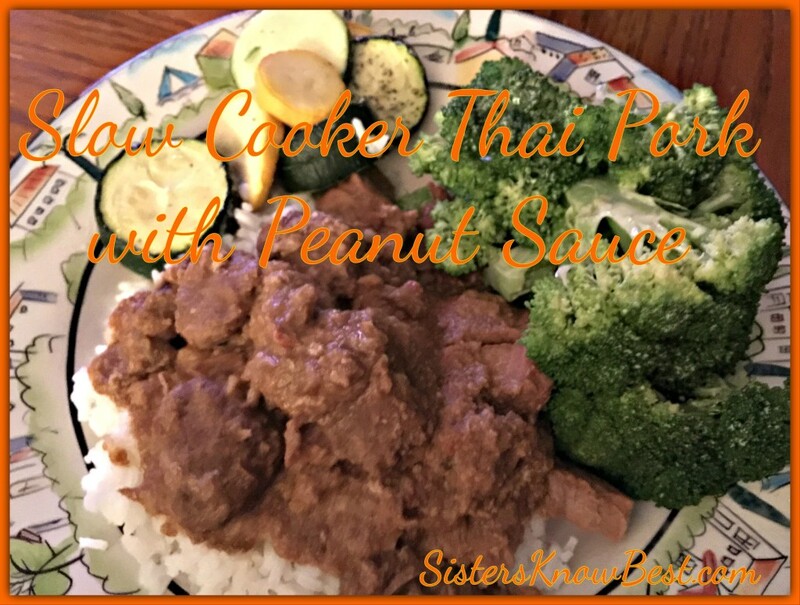 The peanut butter gives it a creamy flavor and adding the vegetables makes this Slow Cooker Thai Pork with Peanut Sauce recipe a delicious well rounded meal!